Here are the new offers from Checkout51 that run from Thursday, July 12th thru Wednesday, July 18th. Some offers are NOT eligible for redemption if you use coupons at the register on the item. So be sure to read the fine print on items that you have both a manufacturer coupon and a Checkout51 offer for. They’re not all like this – yet – but you need to be aware that some are. And as always, if you submit a grocery receipt over $60 you could win $500! Just be sure to check that offer at the bottom of the list of offers when submitting your receipt! 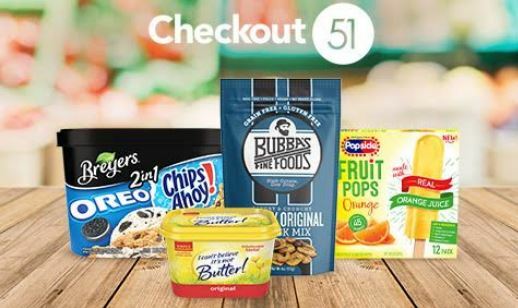 Check your Checkout51 account just before you shop to make sure the offers you want are still there and don’t delay in uploading your receipt! These are just the new offers. Previous weeks’ offers may still be in your app. Always check your app before you shop so you don’t miss a rebate on an item! Be sure to check out my YouTube video on how to use Checkout51! When your account reaches $20, you may request a payment for the credit in your account (via check), or leave the Cash Back in your account to continue accumulating. It’s that easy! And here are the offers you can redeem now. New offers are loaded every Thursday and are valid through the following Wednesday. Hurry and sign up for Checkout51 so you don’t miss out on any savings!